Bare birches cast long shadows over Herbert Park in Ballsbridge. Aside from the streaks of airplane trails, the sky above is pure blue. Fallen pine needles from nearby trees lie scattered along paths dotted with wrought-iron benches. One bench by a holly tree near the park’s main entrance is covered with flowers, cards, and notes, surrounding a photograph of an elderly man, tanned, with thick white hair, wearing a waxed jacket, smiling plaintively at the camera. Stafford says she knows little about Boland’s early days, but regulars to the park would feel they know him. “He always talked about the weather,” she says, hence his nickname. 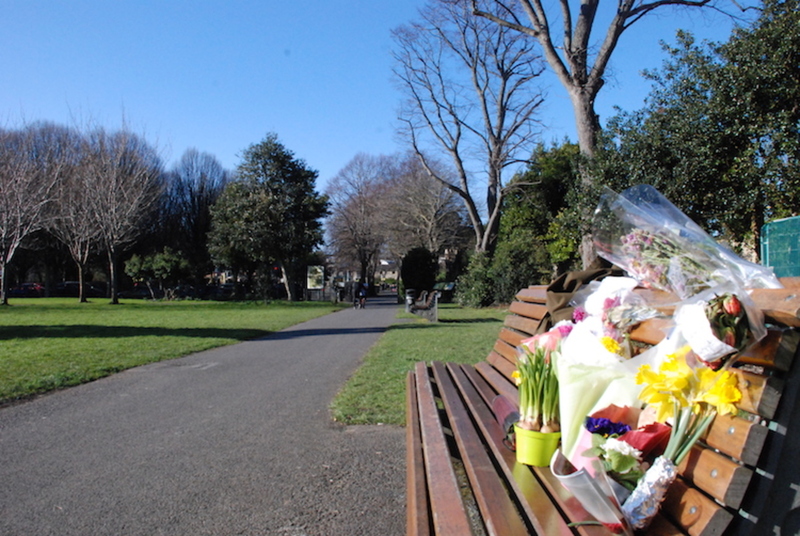 As news spread of Boland’s passing on 8 February, more flowers and cards appeared by the bench he sat on, she says. “No, he’d nobody belonging to him,” says Chris Hogan, leaning against the display fridge at his butcher shop on Camden Street. Some years back, Boland ran odd jobs for Hogan’s butchers. He would deliver messages to elderly customers who could no longer make the trip to the shop. Each summer, Boland travelled to Wexford alone, says Hogan. He would spend five or six weeks there. 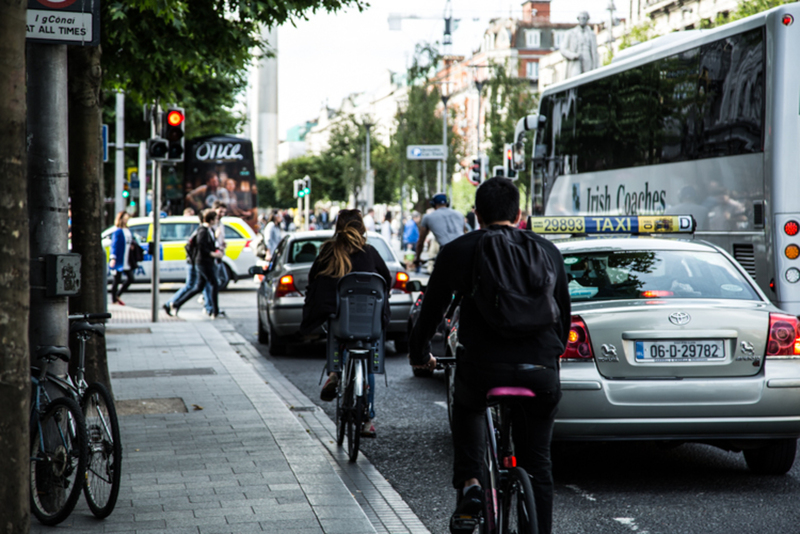 Until he died, Boland lived in a small flat in Ranelagh. “His life was coming down here,” says Stafford, wrapped up from the early morning chill. 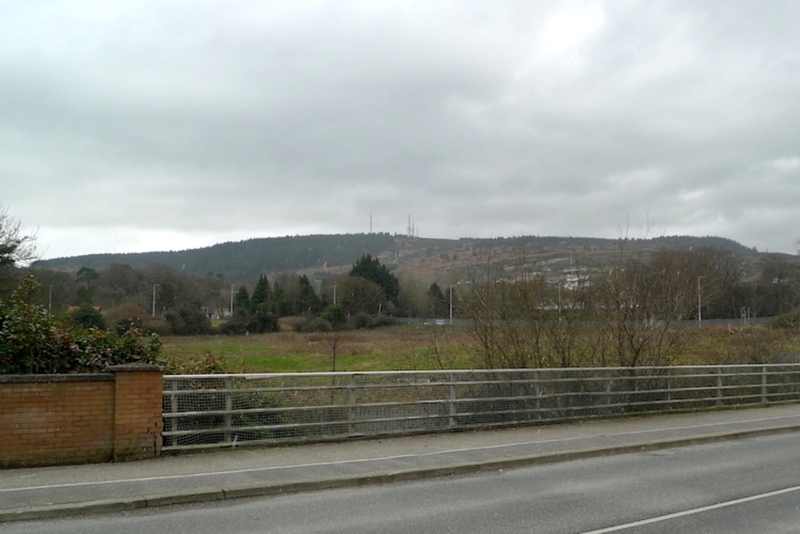 She points past Boland’s bench to a bare patch of ground by the park’s boundary wall. It used to be overgrown with heavy planting, the scene of Boland’s mischief. “That’s his coat there,” she says, touching the green and brown North Face jacket bunched up to the side of the dozen or so bouquets left in tribute to the Weatherman. “Our Tom” had an active life, says Philip Lane, who befriended Boland in recent years. 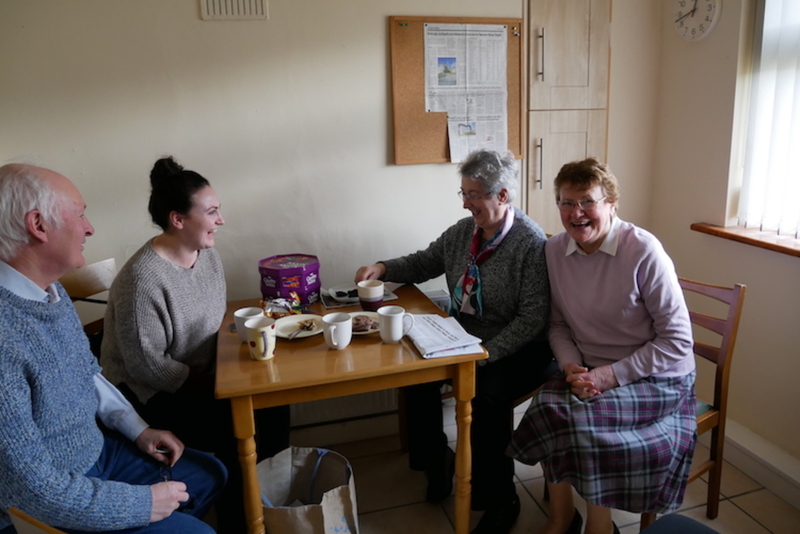 When Boland wasn’t in Herbert Park, says Lane, he spent his time on trips with other elderly folk from around Ranelagh and Rathmines. He went to dance classes and music sessions. He would talk to Lane about politics or the weather. Or what he had heard on his radio at home, although he didn’t call it a radio – it was always “the wireless”. And “every morning he’d hear the weather forecast”, says Lane. Each year, Boland spent Christmas Day at the RDS venue in Ballsbridge at the annual dinner provided by the Order of the Knights of St Columbanus. As the years rolled on, though, ill health seemed to have caught up with the Weatherman, says Lane. From earlier this year, his condition deteriorated, and he died after four weeks in St Vincent’s University Hospital. “But it wouldn’t have suited him, being in a hospital or a nursing home or anything like that,” says Lane, who, along with local social-welfare services, helped to cover the cost of his funeral. “For someone with no direct relatives, the church was jammed,” says Lane. 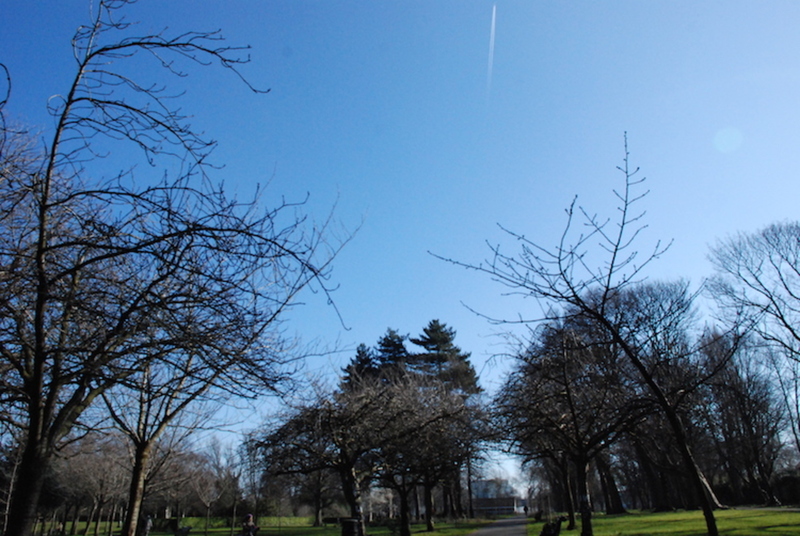 On Sunday morning, blackbirds scurried along a scuffed verge near the centre of Herbert Park. Some dog walkers, families, and joggers paused at Boland’s bench to look at the pile of tributes. Nearby, Mary and Muriel Bruton sat wrapped up from the Baltic air. “He was a gentleman,” said Muriel. “Oh, he was,” said Mary. “He’d sit there all day, wouldn’t he?” said Muriel. “And he’d always roll up his sleeves to show you his tan,” said Mary, mimicking the action with her hands. “Don’t think he’d any family, though” says Muriel. Boland spent most of his life alone, says Mary Stafford. He never married as far as she knows. Boland was born into a mother-and-baby home, and Stafford says she thinks that, for many years, he had been in and out of industrial schools throughout the country. Most of those who knew “Tom” came to do so in later life, she says, and he’s already “really missed” around Herbert Park. Daffodils sit bunched next to Mass cards, poems, and letters. There are tulips and crocuses and posies. “The weather is good today, Tom. I didn’t get to say goodbye. The park won’t be the same without you,” reads one card. “Until we meet again, Tom,” reads another. At the bottom of Palmerston Road in Ranelagh, where Boland stood each day before setting off for Herbert Park, there are more tributes. 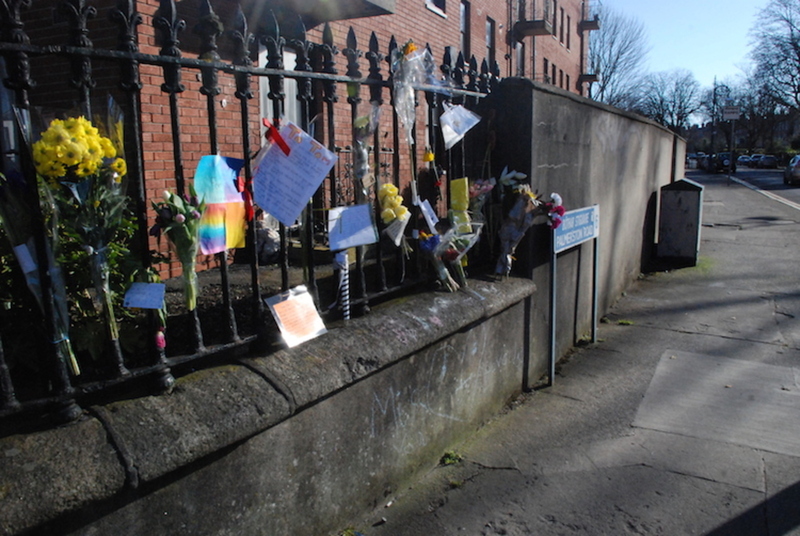 Notes and cards and poems pinned along 16 of the metal railings along the corner. 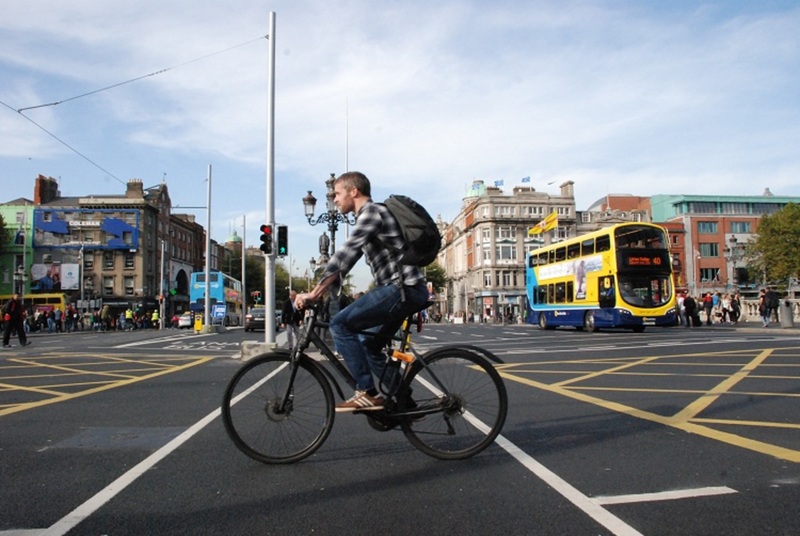 Event: Can the Cyclist and the Rest of Dublin City Ever Be Friends?